The American Institute of Architects New York State (AIANYS) named 195 Broadway a recipient of the 2017 Excelsior Award. 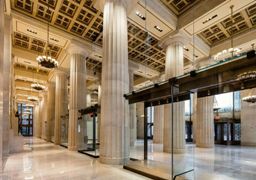 The building was commissioned in 1913 by Theodore N. Vail as the headquarters for the American Telephone & Telegraph Company, better known as AT&T. Steven Winter Associates provided accessibility consulting to the project's Design Architect, Gabellini Sheppard. On June 6, leaders of Pennsylvania’s clean energy movement took to the steps of the State Capitol Building. The cause? To demonstrate just how much room PA energy codes have to improve. 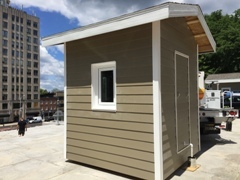 Amidst a cohort of speakers and presenters, USGBC’s Central Pennsylvania chapter erected two sheds, each filled with 1,080 pounds of ice: one built to 2009 Code requirements, currently in place under PA state law; and the other built to Passive House standards. How did these icehouses perform? 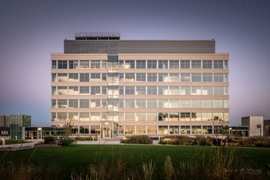 For their global headquarters in New Haven, CT, Alexion affirmed their commitment to human health and wellbeing by earning the prestigious LEED Platinum certification from the USGBC. The biopharmaceutical company’s new building is one phase in a broader urban revitalization effort in New Haven, including the improvements to infrastructure and amenities within the project boundary, and the College Street pedestrian and bicycle paths.